There’s always plenty of energy and excitement at the Mall of America, but on June 14 it was off the charts! 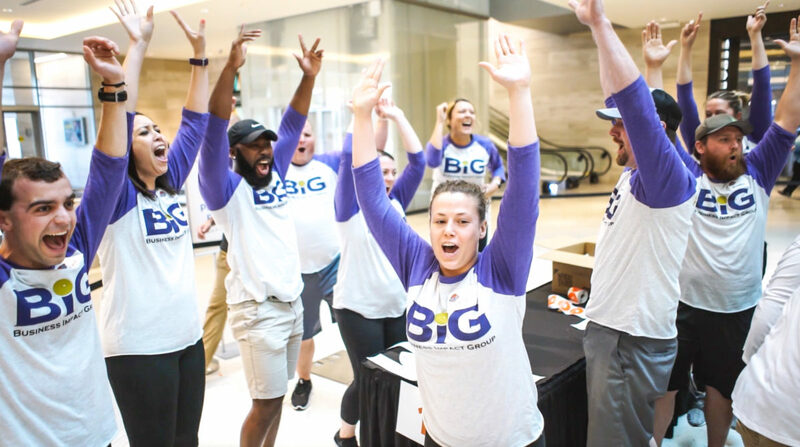 That’s the day MATTERbox Madness descended on America’s largest mall and made a giant impact on health and nutrition for thousands of Twin Cities’ kids this summer. Twenty-five Twin Cities’ Companies That MATTER participated in the event, packing +12,000 healthy MATTERbox Snack Packs that will be distributed to a variety of summer youth programs throughout the Twin Cities. 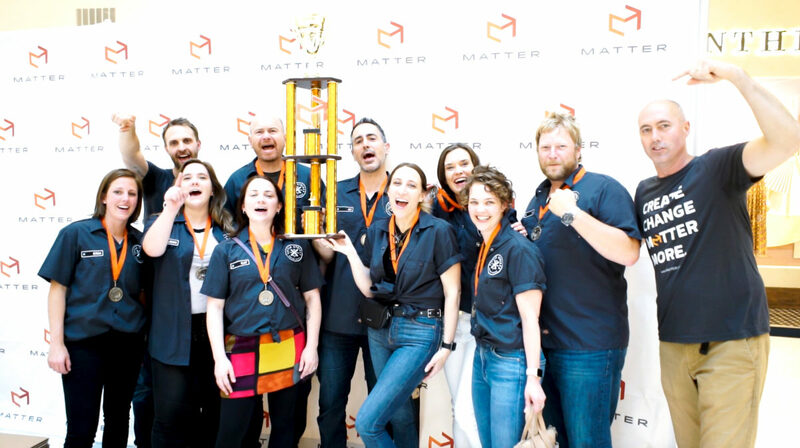 MATTERbox Madness, now in its fourth year, is a high-energy event that pits teams from different companies against each other in a spirited, bracket-style competition to see which team can pack MATTERbox Snack Packs in the shortest amount of time. 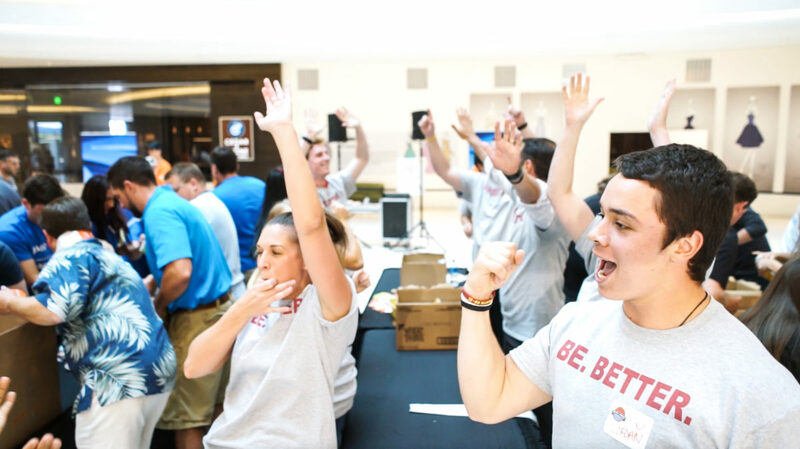 Though the teams were eager to compete for the coveted MATTERbox Madness trophy, the goal of providing nutritious food for kids was never far from the hearts and minds of the teams. Before the competition started, everyone took time to write You MATTER notes of encouragement to the kids who would be receiving the Snack Packs. 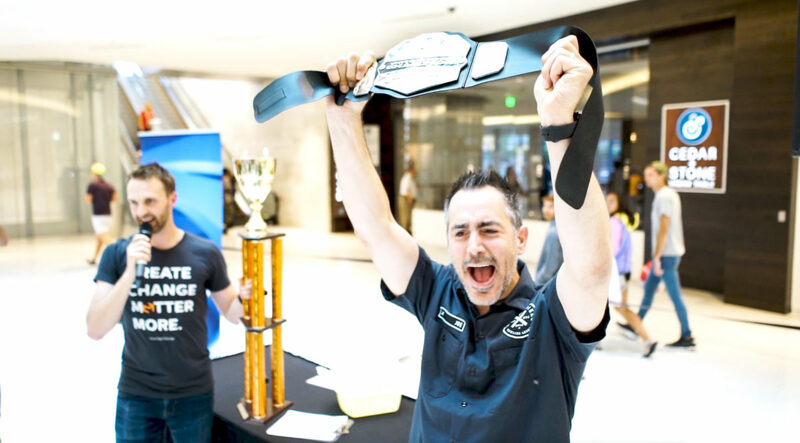 After friendly but fierce competition, it all came down to two companies: the 2017 MATTERbox Madness Champions BIG, (Business Impact Group), and Little & Co, a Minneapolis-based branding agency. With steely determination and nimble teamwork, Little & Co. edged out a narrow victory to become the 2018 MATTERbox Madness champions. 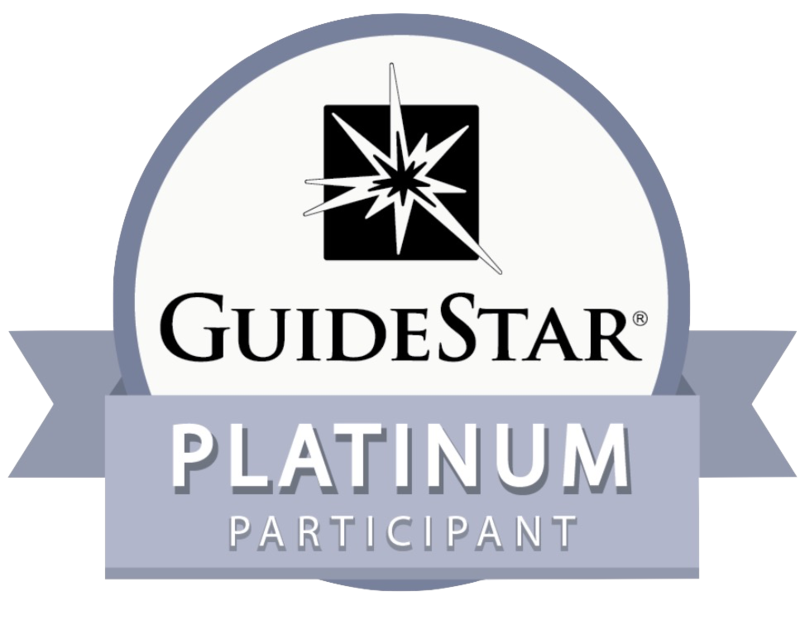 For Little & Co, as with all the companies that competed, participating in an event that will give thousands of kids the chance at a healthier summer was its own reward regardless of who won the competition. 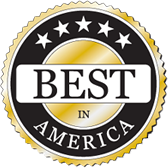 -Joe Cecere, President, Little & Co.
MATTERbox Madness was held in partnership with the 5 Eyewitness News Summer Harvest for Kids campaign, which raised more than $280,000 to fight summer hunger. In addition to the 10,000 meals packed during MATTERbox Madness, another 3,000 MATTERbox Snack Packs were assembled by mall visitors during the Summer Harvest campaign.